As a North Carolina native, Dr. Zachary Price DC, FABBIR graduated from East Carolina University with a Bachelor of Science degree in Biology in December of 2009. 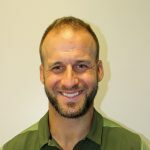 He then pursued a Doctor of Chiropractic degree from Life University in Marietta, GA.
After graduating from Life University College of Chiropractic in March of 2014, he attended the Carrick Institute for Graduate Studies. During his time at The Carrick Institute, Dr. Price completed over 600 hours in concussion assessment and rehabilitation as a prerequisite for obtaining a Fellowship degree from the American Board for Brain Injury and Rehabilitation from the American College of Functional Neurology, Inc. As one of 67 practicing physicians worldwide with this qualification, numerous elite skills allow him to effectively treat a wide variety of athletes to decrease time off following a concussion, while continuing to improve overall sports performance with the latest in concussion assessment, management, and rehabilitation techniques. He previously practiced three years as an Associate at Spine Care Chronic Conditions and Rehab Center in Seneca, SC, treating a diverse group of individuals from children to Olympic athletes. 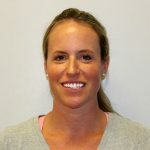 In examining and performing complex rehabilitation techniques, these techniques include muscular, sensory, and visual stimulation to restore functional movement and overall well-being in each patient. Dr. Price is an avid duck hunter, Crossfit enthusiast, athlete, and golfer. He loves to spend time outdoors hiking, playing sports, and working out with his girlfriend, Laurin and their dog, Captain. He also enjoys spending time with his siblings, Josh and Hannah, and parents, Elizabeth and Michael. Dr. Price is extremely honored to be able to serve the people of Charlotte, NC and surrounding areas and is dedicated to improving lives.